Many times have we been in a moment where we are wondering if our breath smells right. After all, we do not want to give a bad impression to whoever we are addressing! It might be a date, a group of acquaintances, a classroom, or even at a store. Regardless of the scenario, maintaining a fresh breath is essential for our daily lives. With the help of Los Algodones dentists, we will be reviewing the most common causes of foul breath. Moreover, we will be giving some tips to help maintaining it as well! What can cause foul breath? Dental problems. The main perpetrator being dental problems. 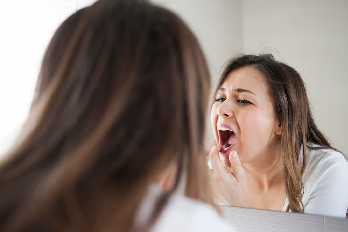 According to our dentists in Los Algodones, most of the times a lingering and constant foul breath is a side-effect of, say, a decayed tooth. Food and diet. The food we eat has a say whether or not our mouth maintains a not-so-stinky state. Generally, heavily spices food will bring forth a mayhem. This also goes for the usual garlic and onion that are known for leaving an unpleasant odor. Smoking and tobacco products. Of course, in the list we have cigarettes and tobacco products. The fumes, chemicals and ingredients in both tobacco and cigarettes cause many issues throughout our oral cavity. Not only does it stick and cause a foul breath, it also stains our teeth, recedes our gums, and brings forth many types of cancer. What are some good oral habits? Brush twice a day. It is always recommended that you brush twice a day for 2 minutes each session. Why? Because that way you make sure plaque has no room for damaging your tooth enamel. Also, it keeps it from lingering long enough to turn into tartar, and don’t forget that it is so you have enough time to get all the nooks and crannies. Lastly, it helps the toothpaste do its job properly. Floss once. Flossing keeps plaque and food from accumulating and building up between your teeth. It is also a great way to clean around your gumline. By keeping a flossing routine, you fight against gum disease and tooth decay! Using mouthwash. Rinsing your mouth with a mouthwash can provide a great line of defense as well as great benefits. Remember that there are two types of it: cosmetic and therapeutic. Cosmetic is for short-term, it works great for when we want a pleasant smell that won’t bug people. Therapeutic, however, actively helps against certain problems such as plaque buildup and tooth decay, for example. Maintaining good oral habits. Keeping up with your daily oral habits keeps you from accumulating plaque. As you know bacteria when creating plaque, they let out a foul smell, we avoid this entirely by routinely removing it. Drinking plenty of water. Water helps washing off unwanted particles. It also drives away dry mouth symptoms! Moreover, if it is tap water, chances are it has been treated with fluoride, strengthening the tooth enamel. Avoiding food with many spices. Food with garlic and onion are an excellent example for this. Strong odors generally stick and linger in our mouth. Schedule a dental visit twice a year. This is a great way to know that your mouth is in good shape. It also helps you address any dental problem that you might have or can develop. No Replies to "Foul Breath: Common Causes & Maintaining A Fresh Breath"